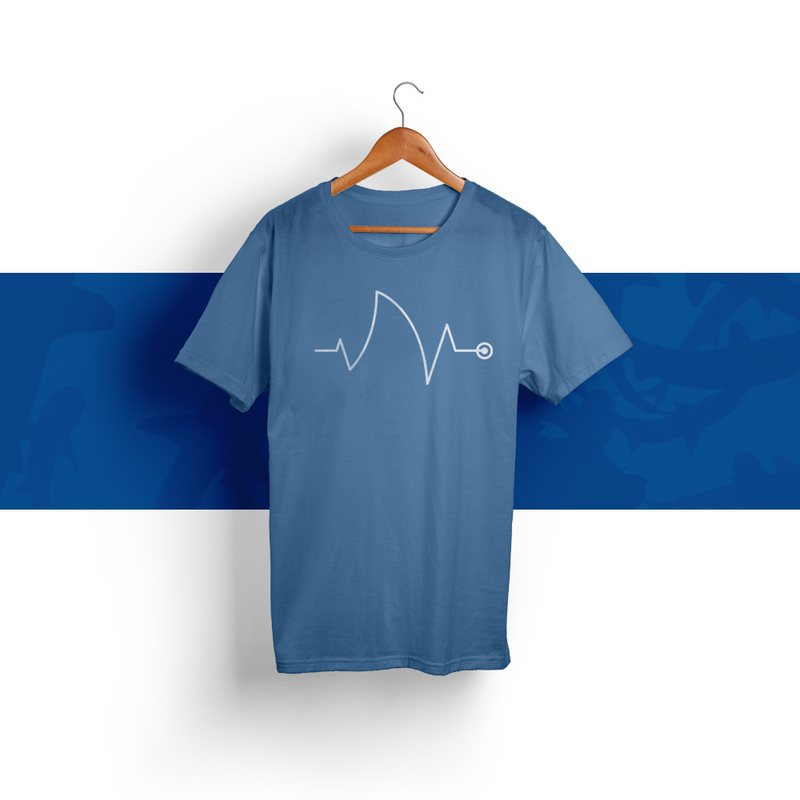 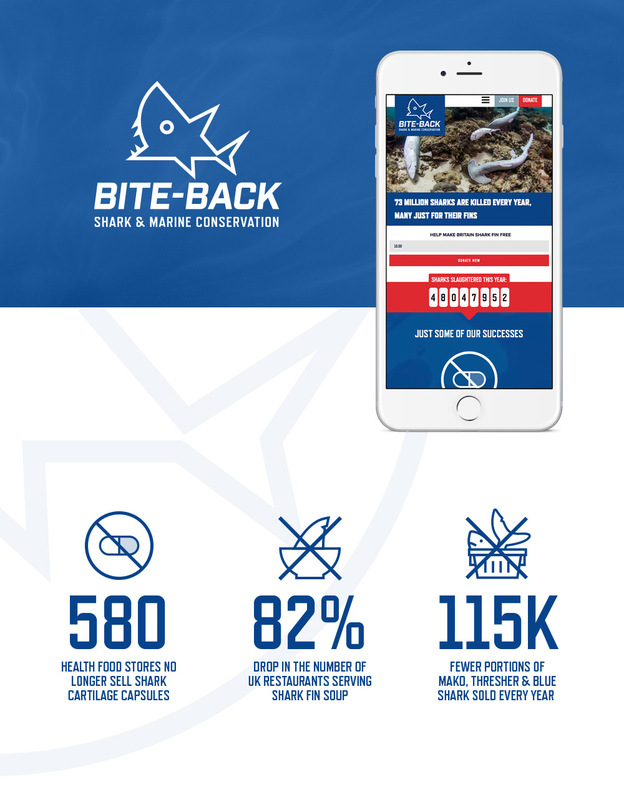 Bite-Back is a UK-based charity dedicated to shark and marine conservation with a mission to ban the importation and sale of shark fin in Britain. 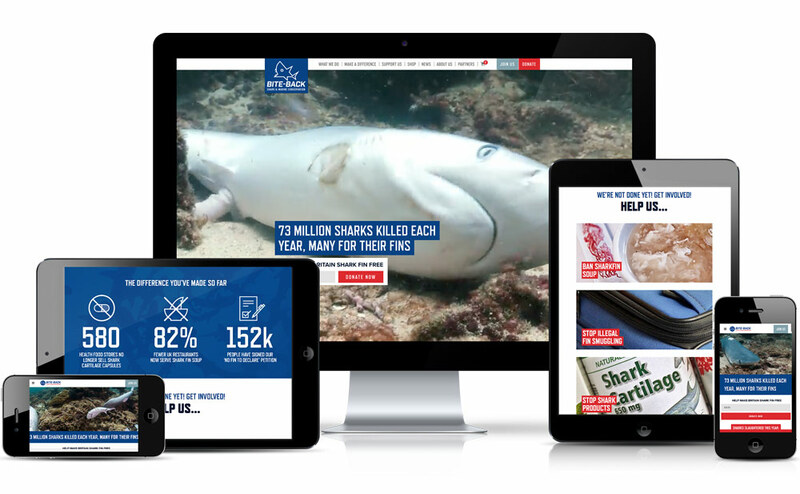 Founded in 2004 the charity has seen great success banning endangered marine life being sold nationwide. 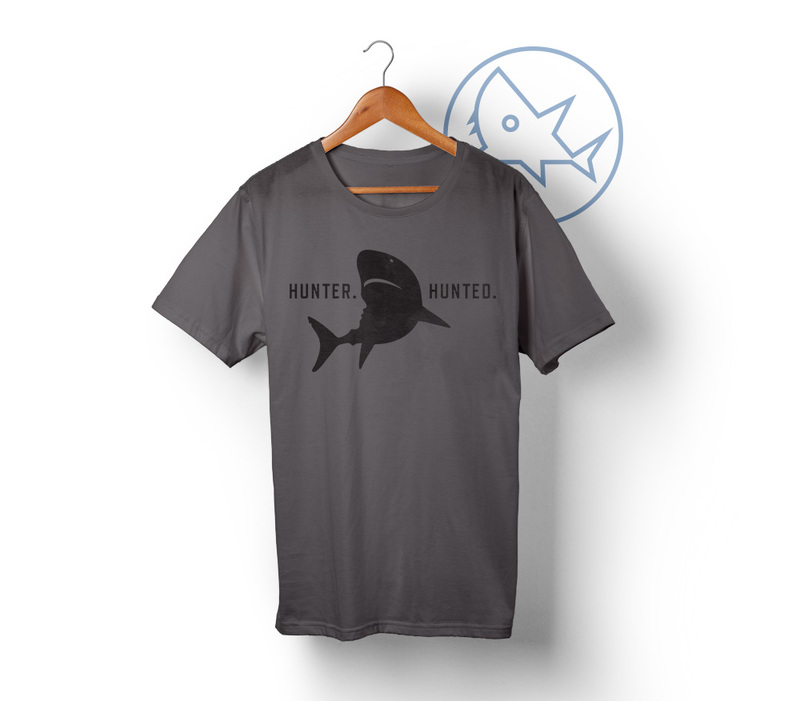 Through its work of defending the high seas on the high street and educating people about the issues facing the only truly wild items stocked by supermarkets, it has empowered its supporters to help change the way fish is consumed and rallied conservationists and celebrity endorsement. 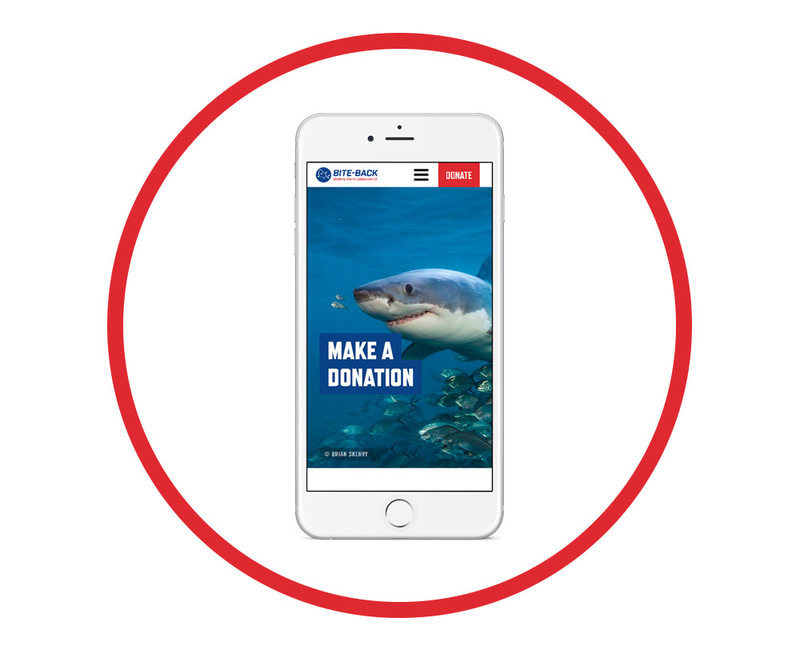 Drive helped Bite-Back evaluate their web presence, user journey and donations model to clarify their goals, messaging and rally cry. 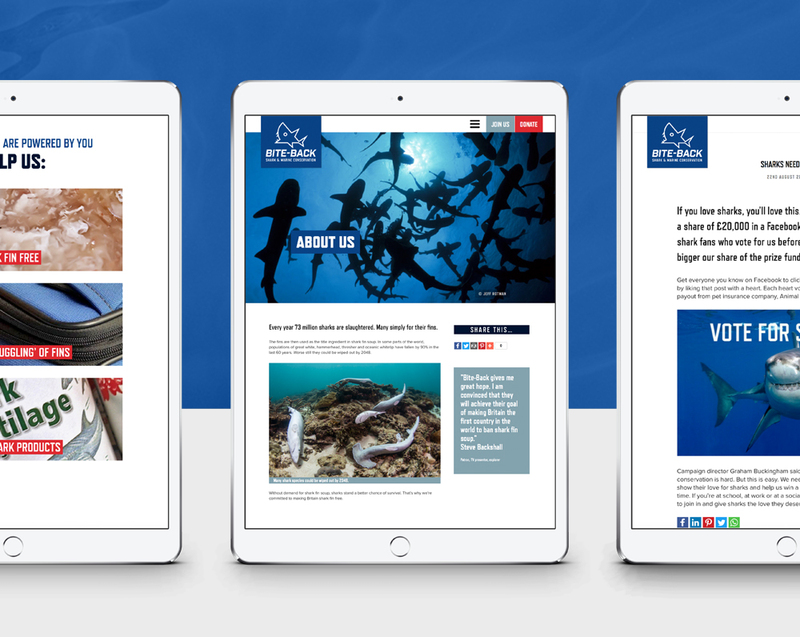 A revitalised brand identity and strategy applied to an all-new website and e-shop has firmly placed Bite-Back at the forefront of marine conservation.